Hospitality chain Swiss-Belhotel International has announced the soft opening of its new hotel-apartment complex in Juffair, Bahrain. 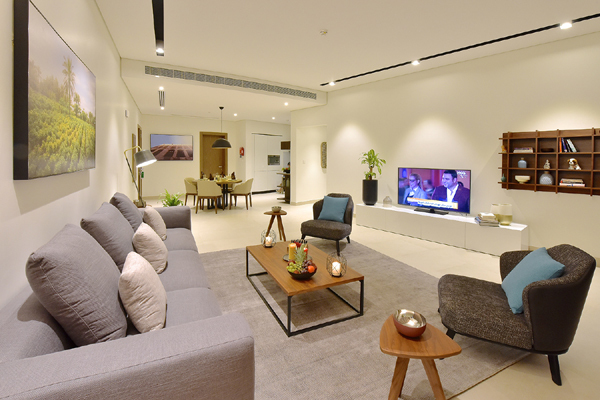 Swiss-Belresidences Juffair welcomed its first guest on October 1. The stunning property is centrally located in the heart of the dynamic Juffair district – a popular hub for dining and shopping venues – and is merely 17 minutes away from Bahrain International Airport. In close proximity are Juffair Mall and the Grand Mosque. Swiss-Belresidences Juffair is an upper midscale hotel-apartment complex boasting 129 spacious (one-, two- and three-bedroom) apartments and penthouse with superb amenities. Designed in modern and contemporary style, the complex features an array of leisure and entertainment facilities for families ranging from a business lounge to a fabulous spa and health club, an outdoor swimming pool, a playground, cinema and a games room for all ages. Bahrain welcomed a total of 12.7 million tourists in 2017 and is targeting 15.2 million visitors in 2018. Continued investment in tourism infrastructure with solid increase in arrivals, particularly from the region, is contributing to this massive growth in Bahrain’s tourism sector.